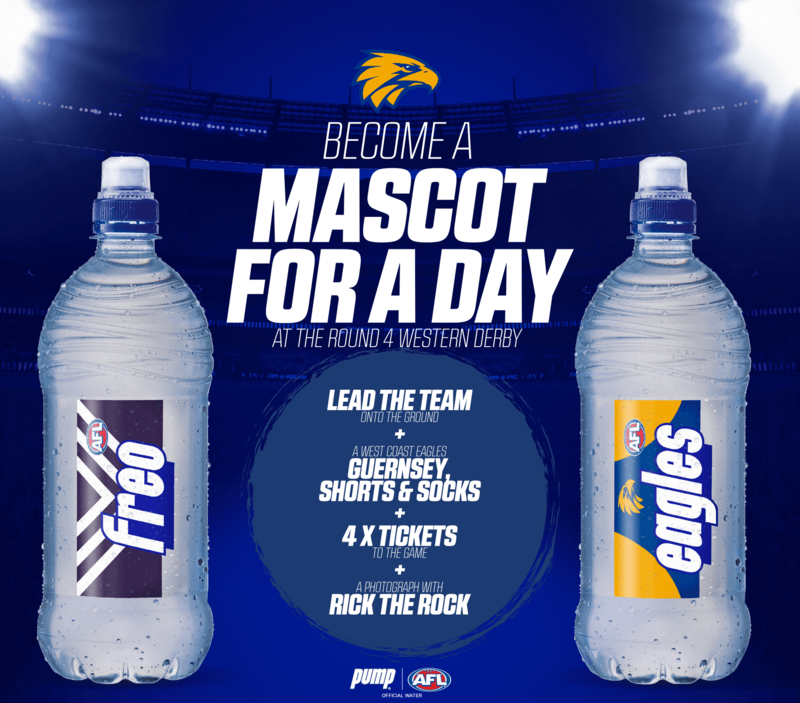 Lead the team onto the ground, a West Coast Eagles Guernsey, shorts & socks, 4 x tickets to the game and a photograph with Rick the Rock. WA. res. only. 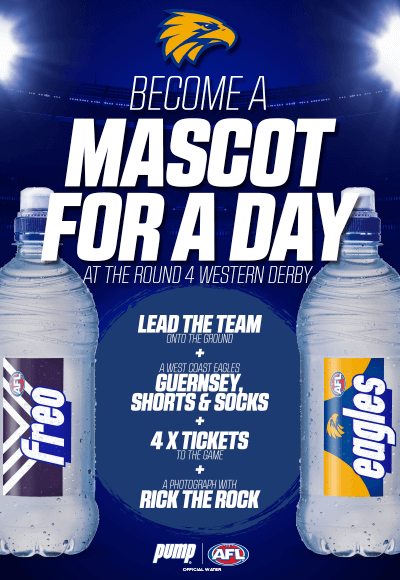 Promotion starts 11/03/19 at 09:00 am AWST & ends 7/4/19 11:59pm AWST (“Promotional Period”).  To enter, complete the following steps during the Promotional Period: a) purchase a 750ml Pump from any IGA store in WA displaying advertising for this promotion; and b) complete entry form at IGA.com.au/mascot, including uploading scanned copy/photo of receipt for purchase. Keep receipt/s. Limit 1 entry/transaction. See https://www.plxs.com.au/wp-content/uploads/Legal-Automation-6254.pdf for Terms and Conditions. © 2019 The Coca-Cola Company. ‘Pump’ and the ‘Pump’ Bottle are registered trade marks of The Coca-Cola Company.